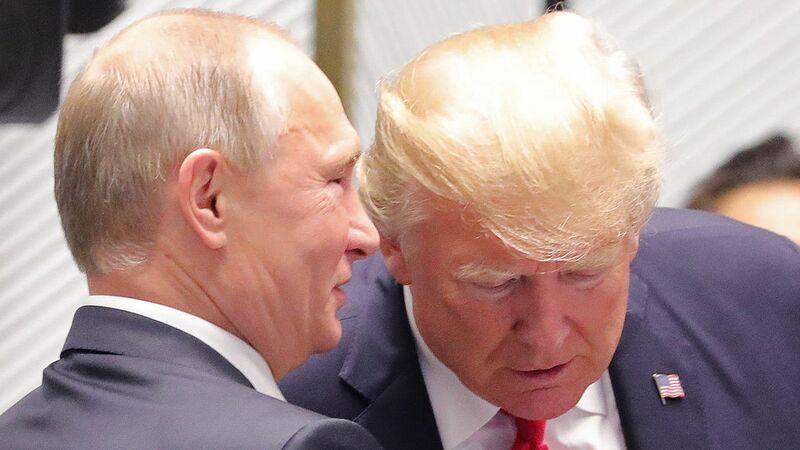 Many critics of President Trump's foreign policy believe he is giving Russian President Vladimir Putin a gift by agreeing to a summit while ignoring sources of tension such as the annexation of Crimea and foreign election meddling. But a chummy photo op goes a very short way to meeting Putin’s actual needs. Reality check: In his fourth and final term, Putin is focused on domestic priorities such as lifting the economy out of stagnation, improving infrastructure and raising the retirement age to ease social-program budgets. Sanctions and a toxic international environment are big obstacles to these plans. To deliver on this agenda, he needs Trump to deliver on a calmer foreign-policy and business environment. The Russian angle: Russia’s political class and its allies are as concerned about the Helsinki summit as their American counterparts. The hawks in Moscow think Putin is ready to exchange part of Russia’s political and military resurgence — perhaps through concessions in Donbas and Syria — to ease sanctions and spur economic growth. Conservatives in the Russian security establishment want to ensure that Western nations can’t mobilize a unified, anti-Russian front. They like the fact that the West is split and see Trump as widening this divide — with his disregard for U.S. allies and NATO, including the previously unthinkable collapse of U.S.–German relations. Satisfaction with the status quo is why many Russians oppose major new agreements with Trump’s White House. The bottom line: Any agreement that results in rapprochement with the West may provide some economic growth from sanctions relief, but it may also shift balance of power within the Russian political establishment from the powerful hawks to the system’s liberals. Alexander Baunov is a senior fellow at the Carnegie Moscow Center and editor-in-chief of Carnegie.ru.